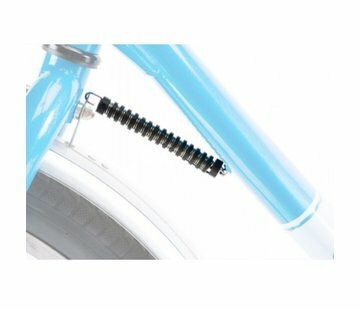 It is a spring connecting the fork to the down tube. 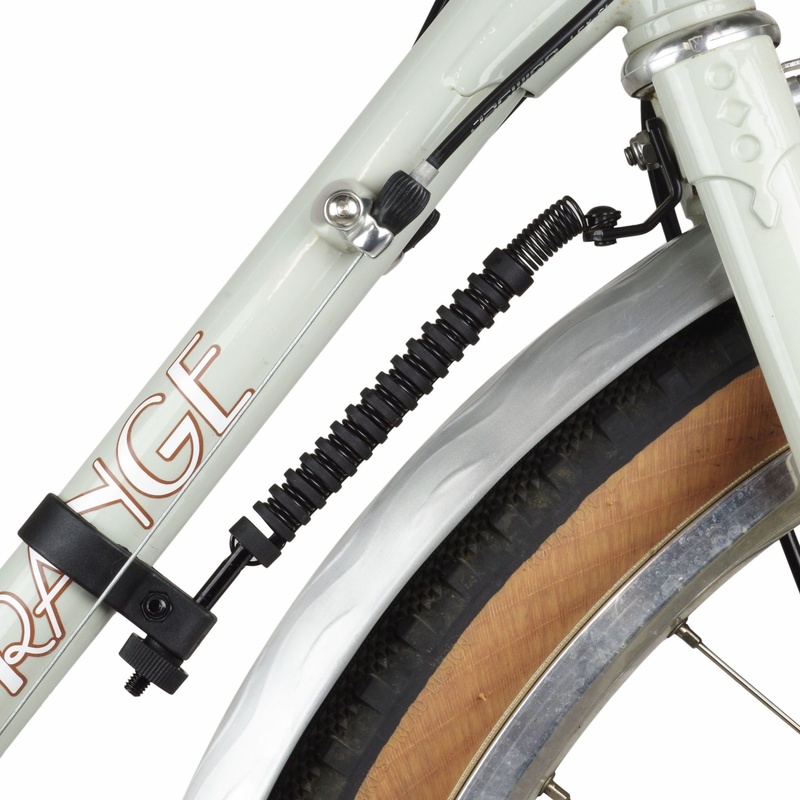 It adds a subtle self centering action to the front wheel, making loading and unloading of a bike with a basket, or a Porteur Rack much easier. The spring also offers some resistance to steering, so it counteracts deflections from hitting potholes and road debris.